I wish they would wrap them in bubble wrap before placing them in the bubble mailer. Spr175psu and Haunted575 like this. I saw on FB that people are getting pins with cracks in the stained glass! Some that you don't notice until you take the pin off the card! This was exactly my first thought! A little plastic baggy is not enough. 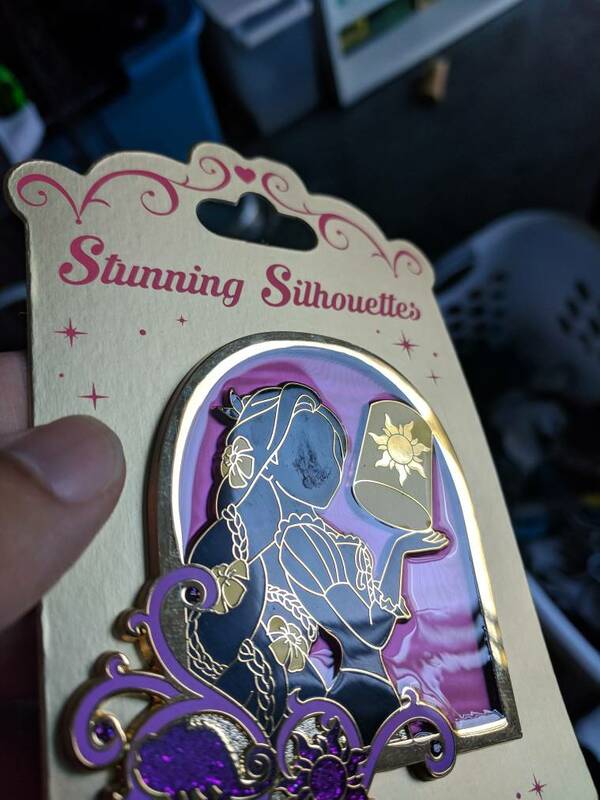 If shop disney was on pin pics, I don’t think I would trade with them. Shelterkat, TheMickeyMouseRules, raikipins and 4 others like this. Wow, ok I don’t have any cracks or anything on mine. That stinks! I’ll have to figure out this picture thing but reading mine for good AIW pins. Sorry to see. That's really a bummer. Yes, that is pretty significant. So Wow! Here also. I would absolutely complain about it. If nothing else maybe they should refund the purchase or provide a gift card/credit for future purchases. Voko20 and starry_solo like this. @Voko20 , besides the face, something looks off with the stained glass too! Thanks watzshakinbacon, but as Starry noted theres some glass issues as well. I'm gonna see what I can do in terms of getting the raised part buffed a bit. Support also mentioned a replacement which I thought was odd due to the edition size so I probably wont ship this one back until I get confirmed shipping to me. I think the support agent was just confused so I'm gonna contact them again just to confirm today. Please keep us updated as I am hopeful they are able to make this right. Let me know if you are able to get a replacement because, if so, I would want to pursue that on mine as well. But last time I had a pin issue on an LE like this I was told they could only refund as the item was no longer available. I posted a new discussion thread for anyone interested in following along my endeavor with this. Don't want to keep cluttering this thread up with my little quest. 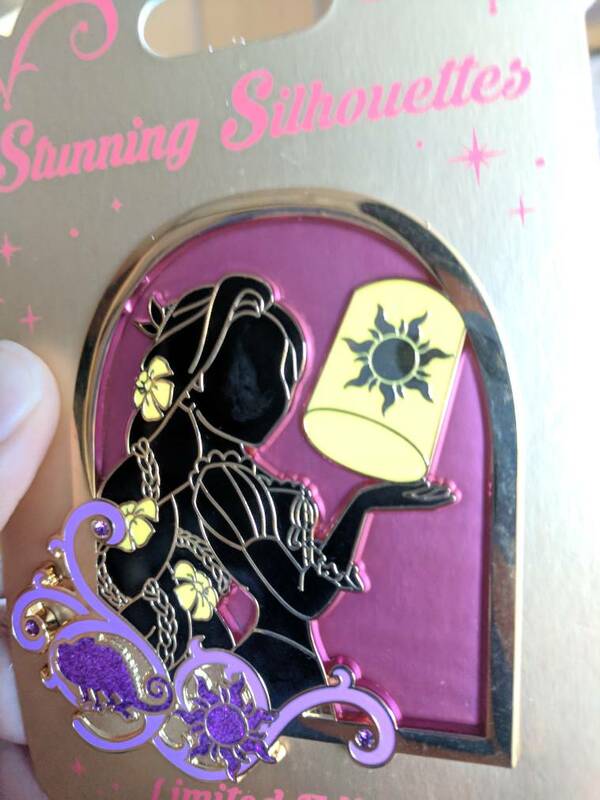 Any guesses on the next released pin? Of course, this assumes there will be a 5th. I counted wrong when I first posted but I corrected my theory a little after that day I scrolled back up and I think it’ll be December 3rd. On that late night of Sunday the 2nd into Monday. It’s Hanukkah that day according to the calendar, but not sure if that’ll make any difference. But, according to the time pattern they’ve been releasing them, if they stick exactly to it, it should be December 3rd. 98 Days until December 3rd ? splashmtnman, watzshakinbacon, starry_solo and 1 other person like this. But how many will there be in the series? What time does it usually go live?